Are you having problems disposing the litter of your kitties? Then worry no more! Litter Genie is here to help you out. Litter Genie is an all-in-one cat litter disposal system that makes this messy job a once-in-every-two-weeks deal. With this cool device, you don’t have to make frequent trips to the garbage bin just to empty out your cat’s litter. And you don’t have to keep up with the smell either. As a disposal system for cat litters, Litter Genie (don’t confuse it with CatGenie) can handle up to 5 bags of cat litter, which is usually good for a 2-week span. The bin also seals off the litters, ensuring that no odor would ever come out of the chute until you’re ready to dispose of its entire content. Litter Genie is offered at an amazing price of only $14.99. That’s a clear 12% savings or a $2 price off from its original price of $16.99. Currently, there’s also a special discount coupon available at Amazon.com, which saves you $3. 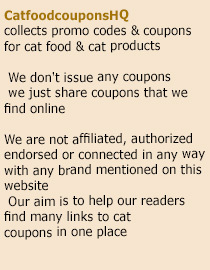 Just visit this page and the coupon will be applied at checkout (expired, new offer below). It may also come with free shipping if your orders reach $35. Amazon shoppers are also given the option to avail of the frustration-free packaging for this particular product. The set comes complete with bag dispenser cartridges that can last for up to 2 months. This entry was posted in Litter Genie. Bookmark the permalink.